Dr. Andrews determined there was a high probability that prices would reach a median line and then reverse. This chart illustrates an example of Median Line Analytics, where price intersects with the Median Line, then reverses from it. He also determined that if price failed to reach the median line, then expect new price movement away from that median line in the opposite direction. This is referred to as a “Median Line Failure”. TradingMotives respect this guideline, but prefer to monitor changes in price behavior as price approaches the median line and will use that information to make decisions about the probability of a reversal. This is where sliding parallels become increasingly important. 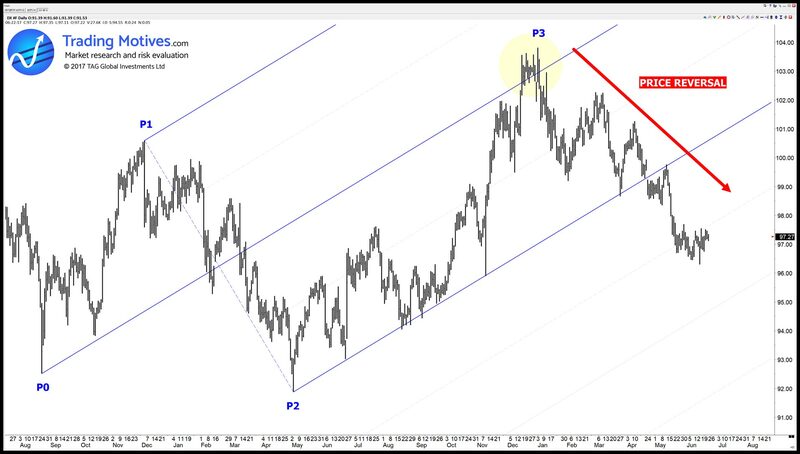 TradingMotives also apply Fibonacci extensions to help monitor the length of swings and compare this with retracement and expansion guidelines from the Elliott wave principle. This second chart illustrates an example where price failed to reach the Median Line, then reversed in the opposite direction dramatically. Price failed to reach the Median Line and reversed in the opposite direction, dramatically. These examples show some of the basic applications for Median Lines. 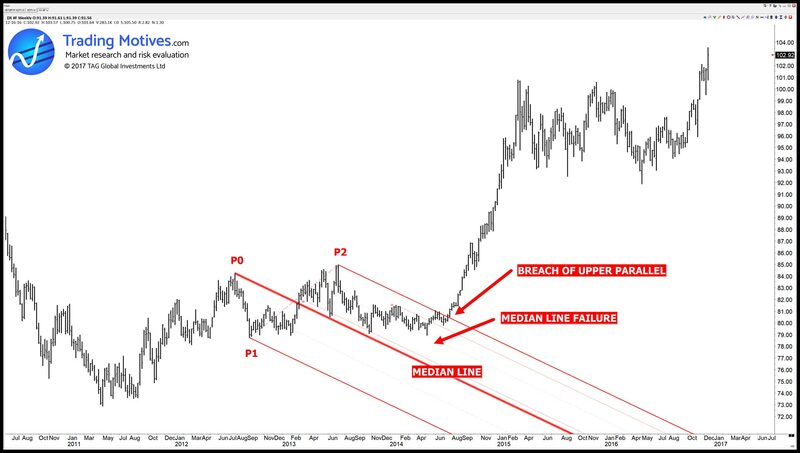 The origin of Median Lines for technical analysis of market charts is more than a century old, yet the methods still work as well today as they did back then.